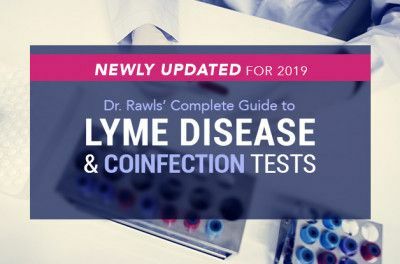 There is definitely a place for using antibiotic therapy for treating acute symptomatic Lyme disease and coinfections. 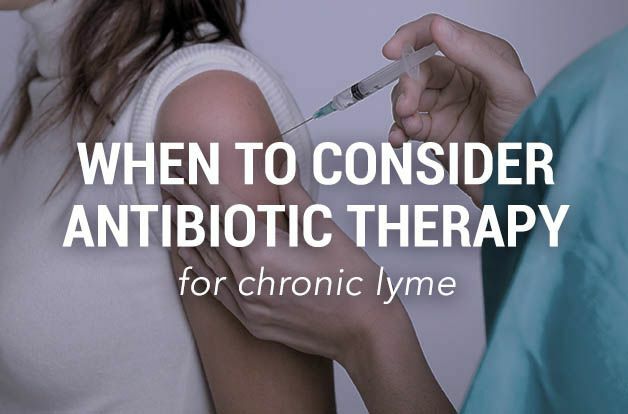 There is little consensus, however, on antibiotic use for chronic Lyme disease. 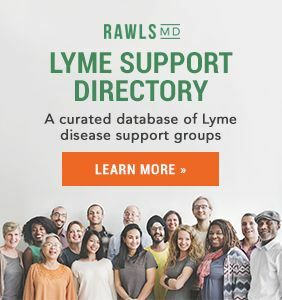 At present, there are no studies showing benefit from long term use of antibiotic therapy for treatment of Lyme disease and the practice is not condoned by the conventional medical community. The primary problem is that synthetic antibiotics do not kill only pathogens (disease-causing bacteria). Antibiotics kill all bacteria. The types of microbes (commonly called stealth microbes) associated with Lyme disease are survivors. When full guns are levied at the microbiome (total microbial makeup of the body), stealth microbes are generally the last ones standing. Normal flora are very susceptible to being killed by antibiotics. The harder and longer target stealth microbes are targeted with potent antibiotics, the higher the possibility that normal flora will get caught in the crossfire. Destruction of normal flora shifts the balance of the microbiome from friendly microbes to pathogens (disease-causing microbes which are always present, but kept suppressed by normal immune function). Prolonged antibiotic use allows these pathogens to become antibiotic resistant. 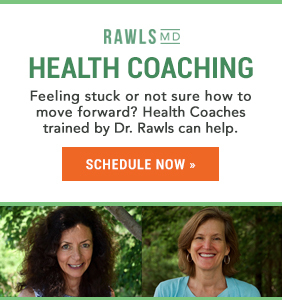 The total process places undue stress on an already overly stressed immune system. Indiscriminate use of high potency antibiotics destroys normal flora, allows potential pathogens to flourish, causes yeast overgrowth in the gut, fosters antibiotic resistance, and disrupts immune function. It is impossible to overcome stealth microbes without a healthy immune system. Herbs with antimicrobial properties work quite differently than synthetic antibiotics. Plants have to deal with threatening microbes just like we do. Plants, however, tackled the “friend versus foe” problem a very long time ago. Plants produce a spectrum of chemical substances (not just one chemical) that selectively target pathogens and spare normal flora. The plants that we call medicinal herbs are the ones that mesh particularly well with human biochemistry. 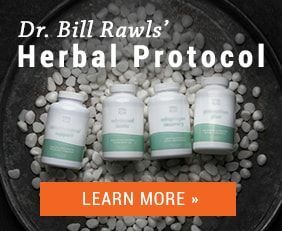 Certain herbs are particularly good for suppressing stealth microbes and enhancing immune function. These are the herbs commonly chosen for use in Lyme disease. 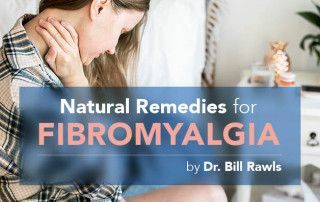 Because most medicinal herbs are very safe, do not disrupt normal flora and immune function, and offer a host of other beneficial properties, herbs can be used continuously for long periods of time. 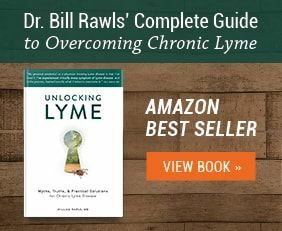 These unique properties make medicinal herbs the ideal choice for use in chronic Lyme disease and similar conditions such as fibromyalgia and chronic fatigue. Medicinal herbs, however, are not nearly as potent as synthetic antibiotics. There are certain situations where the potency of synthetic antibiotics may be valuable. Ehrlichia, anaplasma, and rickettsia. 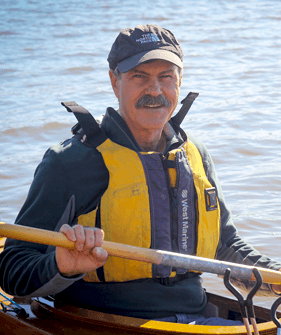 These microbes have a higher potential to cause severe disease and less likelihood of chronic disease after treatment of the initial infection. When chronic disease does occur, it is generally characterized by long asymptomatic periods with the microbe hidden in isolated locations in the body (months, years) followed by relapse of acute symptoms (high fever, chills, headache, muscle ache, etc.). Relapses should be treated like an initial infection with doxycycline 100 mg twice daily for 30 days or until 3 days after symptoms subside. Chronic babesia infection. Babesia is characterized by relapsing high fever or positive test for babesia (see babesia blog). Sometimes triple antibiotic therapy is required to eradicate severe babesia infection. Current guidelines for babesia should be followed. Natural therapy for protozoan infections can accompany conventional therapy. 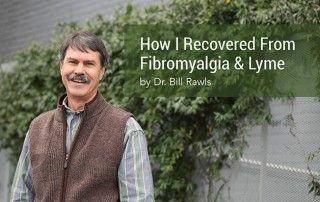 Persistent severe Lyme symptoms refractory to natural therapy. If chronic infection has been present long term and a person’s immune status is severely depressed, pulsed antibiotic therapy may provide benefit (though this is quite controversial). Antibiotics should never be continued for more than 30 days at a time (or symptoms resolve) and a 30 day break should be taken between episodes of antibiotics to allow the system to recover. Rotating different antibiotics may decrease bacterial resistance. Whether to use multiple antibiotics simultaneously is unknown and may disrupt the microbiome even further. Doxycycline covers for borrelia and coinfections except babesia. Other antibiotics can be added at the discretion of the healthcare provider. Whether a single antibiotic or combination antibiotics are used, therapy should only extend for 30 days or until symptoms resolve. Detrimental effects accumulate the longer antibiotics are used. A break of at least 30 days should be taken before repeating antibiotic therapy to allow the immune system and intestinal tract to recover. 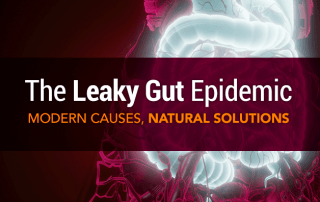 Probiotics including lactobacillus, bifidobacterium, and a friendly strain of yeast called Saccharomyces boulardii (inhibits C. diff.) should be taken daily (hours apart from antibiotics). Dosage: 20 – 50 billion cfu daily. Yeast overgrowth in the gut can be partially controlled by strictly limiting dietary sugar and starch. Ingredients in Advanced Biotic also have antifungal properties. If yeast overgrowth requires use of antifungals such as Diflucan, the drug should only be used long enough to control the problem. Long term use (6 weeks) creates drug-resistant yeast. 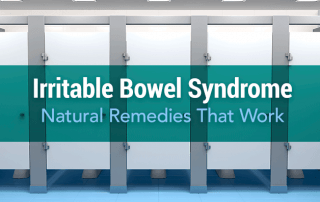 Synthetic antibiotic therapy should always be accompanied by herbal therapy. Herbs support immune function and reduce inflammation. Herbs may reduce the time period required for antibiotics to work. Herbal therapy can be continued indefinitely. 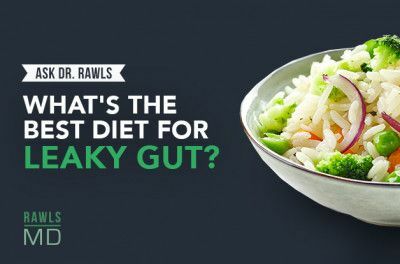 A gut-friendly diet should be followed while taking antibiotics; see Dr. Rawls’ Digestive Health Protocol. 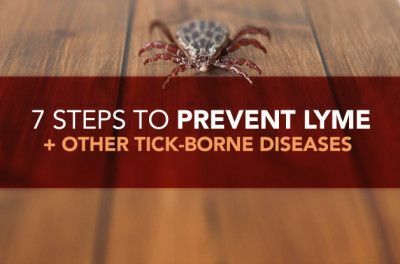 Clindamycin, an antibiotic commonly prescribed for Lyme disease coinfections, should never be used orally. Clindamycin is commonly associated with overgrowth of Clostridium difficile in the gut. Overgrowth of C. diff. causes severe bloody diarrhea often requiring hospitalization.